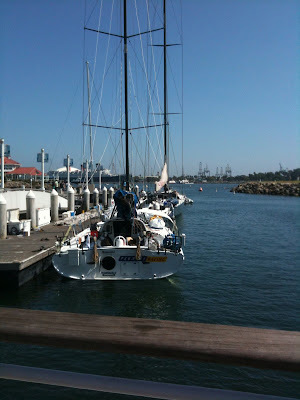 Pegasus 50 is at the dock right by the gigantic 100 footer Alfa Romeo crewed by over 20 seasoned professionals. We look good right there. Our goal is to get there within 72 hours of Alfa Romeo.